The companion bill to SB 372 that has passed the Virginia Senate, Delegates Dave LaRock and Mark Cole’s Knife Rights supported bill, HB 1180, that would repeal Virginia’s ban on carrying “a gun, pistol, bowie knife, dagger, or other dangerous weapon” to a “place of worship while a meeting for religious purposes is being held” has been reported from the House Militia, Police and Public Safety Committee by a vote of 12-9. CALL or EMAIL TODAY! 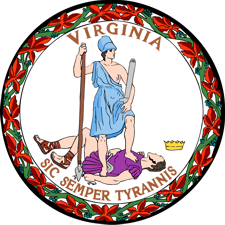 Click here to contact your Delegate using Knife Rights’ Legislative Action Center. Like SB 372, this bill would repeal § 18.2-283, Carrying dangerous weapon to place of religious worship, in its entirety. . These bills are a reaction to the Texas church shooting last year and will allow citizens to carry effective weapons for self-defense in places of religious worship.